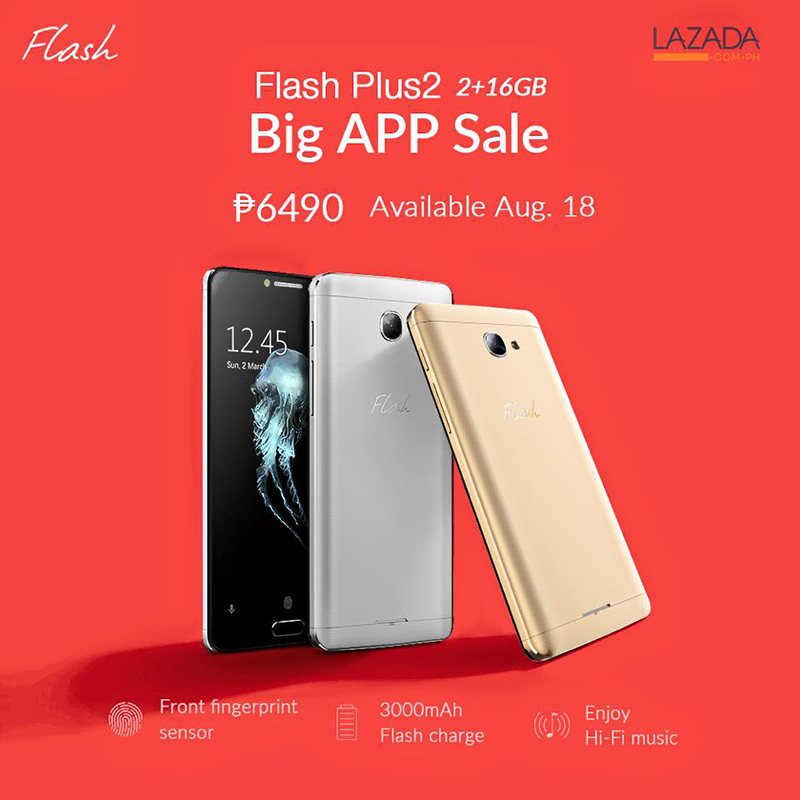 Flash Plus 2 With 2 GB RAM Will Be On Sale At Lazada For 6490 Pesos Only! Home / flash / mobile / news / Flash Plus 2 With 2 GB RAM Will Be On Sale At Lazada For 6490 Pesos Only! Flash Philippines has announced their participation on Lazada's BIG App sale this August 18, 2016. Flash will cut the already low SRP of Flash Plus 2 (2 GB RAM / 16 GB ROM variant) from 6,990 to just 6,490 Pesos only! Related: Flash Plus 2 With 3 GB RAM On Sale At Lazada For 7990 Pesos Only! In case you missed our reviews, the Flash Plus 2 ranks among the bang per buckest handset that's readily available in PH today. It goes with great metal build, powerful chipset, decent cameras, quick charging, front fingerprint scanner, and HiFi audio chip. Now at just 6,490 Pesos, the Flash Plus 2 is an even better deal.